LETTER | Pakatan Harapan’s victory in the general election has provided hope to the more than 150,000 refugees living in Malaysia that the government will legitimise their status and protect their rights in accordance to international standards. Refugees are some of the most vulnerable groups in our society, yet they have been deprived of protection. Without access to legal status, safe and lawful employment, and formal education, they face arbitrary arrest and detention, exploitation and abuse. In the past Malaysia has not made any significant efforts in recognising refugees’ legal status. The previous government historically adopted ad hoc policies in favour of certain groups of refugees without a clear roadmap for the future, assuming a role as temporary host. However, in its political manifesto, the new ruling coalition promised to “legitimise their status by providing them with UNHCR cards and ensuring their legal right to work”. It added that their work rights will be “at par with locals”, indicating a commitment to equality under the law. At Asylum Access Malaysia, we are encouraged by the manifesto’s promises, which will significantly improve the lives of refugees. We have seen firsthand their struggles, resilience and desire to become self-sufficient and contribute to Malaysian society. The right to work in particular is not only a measure of legal protection but also a win-win strategy to address security concerns, labour shortages, and reduce Malaysia’s dependence on foreign workers. We also welcome the new government’s promise to ratify the 1951 UN Refugee Convention and its 1967 Protocol, as well as its commitment to address the Rohingya crisis and transnational human trafficking. We are in the midst of a global refugee crisis with more than 65 million people displaced around the world. Refugees who come to Malaysia fleeing persecution cannot go home and few are resettled. Recognition of their rights is crucial to give them the respect and dignity they often lack while living in an uncertain and hopeless situation. Their physical and mental well-being depend on their ability to rebuild their lives and plan for their future. 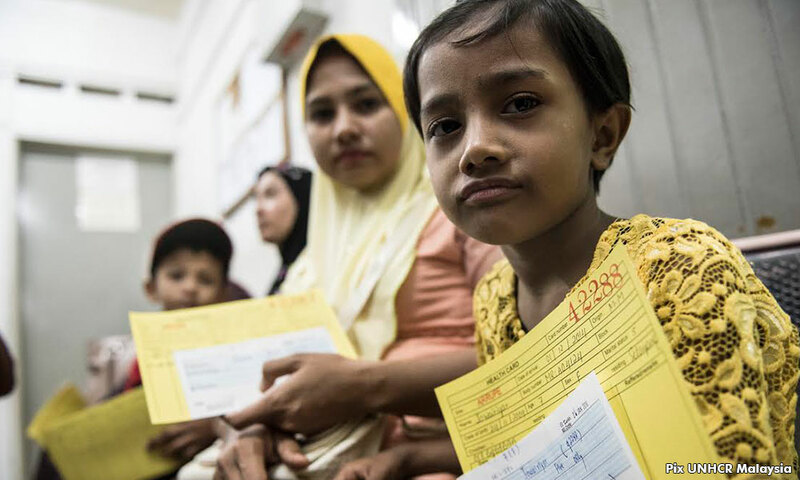 Amid rising populism and the erosion of democratic institutions in other Southeast Asian countries, Malaysia’s new government has a chance to take the lead in the region in granting refugees the protections they are entitled to under international law. The manifesto’s promises are an indication that, at least for now, Malaysia has the political will to head in the right direction and improve its human rights record. FEDERICO RODRIGUEZ is a policy advocate of Asylum Access Malaysia.